Published anonymously in Livorno in July 1764, Cesare Beccaria’s On Crimes and Punishments is at the origin of a remarkable moment in European culture. 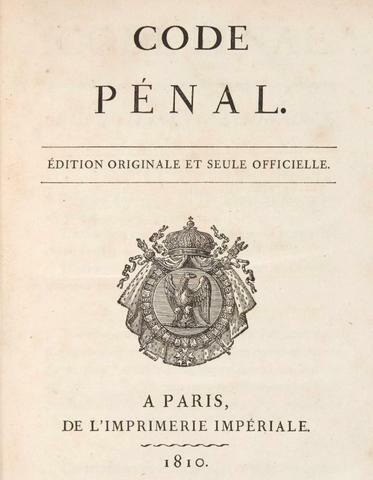 Translations and commentaries appeared instantly in several languages, and this brief work of some 100 pages gave rise to what Michel Porret has called the ‘Beccaria moment’, referring to the period of intense debate that led to the whole European tradition of penal law being called into question, culminating less than fifty years later in France with the promulgation in 1810 of the Napoleonic Code pénal. 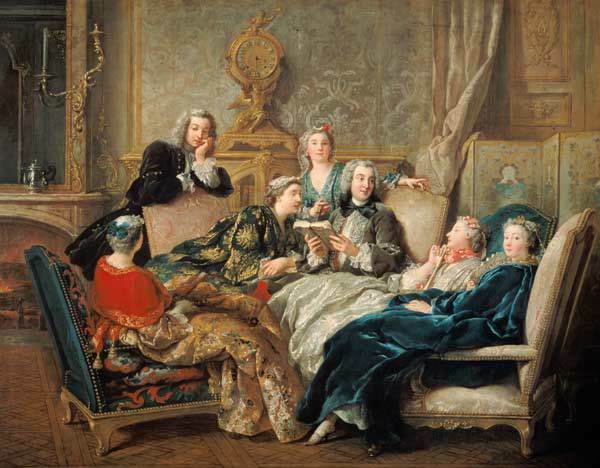 A new book, Le moment Beccaria: naissance du droit pénal moderne, 1764-1810, edited by Philippe Audegean and Luigi Delia (Oxford University Studies in the Enlightenment, 2018) allows us to revisit this ‘moment’. Persuaded that ‘knowledge is the pre-condition of enlightened consent to the laws, that itself is the condition of liberty’ (Audegean), Beccaria makes his text accessible to a wide readership. He rejects the use of Latin, and emphasises clarity and concision. He brings together, to quote his first French translator André Morellet, ‘the strength of reason and the warmth of feeling’. In so doing, criminal law – which had hitherto remained the private and confidential domain of the legal profession – becomes a public affair. The ‘Milan school’ and the group around the journal Il Caffé (1764-1766) that includes Beccaria have as their declared aim, to quote Pietro Verri, to dispel ‘the fog and mystery that allowed the select few to act with impunity while the greater number remained in misery’. 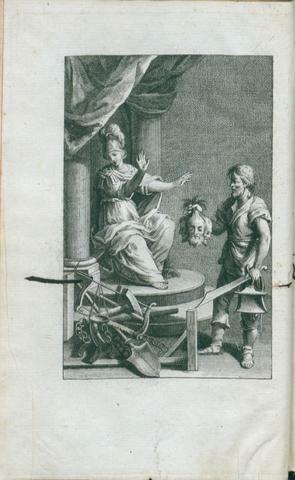 Allegory of Justice refusing to receive some heads from the hand of a man with a sword, illustration from C. Beccaria, Dei delitti e delle pene. Edizione sesta di nuovo corretta ed accresciuta, Harlem [Paris? ], 1766. Public domain. Source: http://gutenberg.beic.it. The aim of On Crimes and Punishments is to modernise penal law by establishing it on clear, secular, moderate foundations, so as to fight against the abuses of justice: torture, the scaffold, extreme corporal punishment, the confusion between crime and sin, the arbitrariness of the judiciary, the slowness and secrecy of trials. Penal law is to be brought in line with a sense of legality as defined by the social contract, liberty and the equality of man. This revolution, which established the foundations of the constitutional state, causes a shock wave in Europe of unseen proportions. To speak of the ‘Beccaria moment’ is therefore to recognise that the origins of modern criminal law are to be found not just in the modest pages of the Milanese thinker but in the hundreds of texts and speeches that his pages inspired in the following decades, from Voltaire’s Commentaire and the issuing of the Nakaz by Catherine the Great (1767) to the abolition of the death penalty in Tuscany (1786) and the criminal laws of the young American nation drawn up by Thomas Jefferson, George Washington and John Adams, from the first French penal code of 1791, the product of debates among the Constituants in which the name most often cited was Beccaria’s, to the Napoleonic code and the work of Jeremy Bentham (1748-1832). But the ‘Beccaria moment’ continues in Victor Hugo’s campaign of 1848 to abolish the death penalty, or, closer to our times, in 1981, in the actions of Robert Badinter. To understand the sources of modern criminal law means taking into account both Beccaria’s book and its interpretations – in Germany, England, France and Italy – thanks to which a new legal structure gradually emerged, and new principles of punishment meant that the legality of punishments replaced the arbitrary power of the courts. Beccaria’s modernity lies in his having reconceived the problem of punishment in the framework of a new conception of politics born in the Enlightenment period and which is still our own: a framework in which the state’s authority is subjugated to the laws protecting individuals. Criminal law is no longer the royal instrument used by the sovereign to guarantee his strength and establish social order, but rather the instrument of citizens to protect and uphold their liberty and safety against public or private violence. It follows, as the authors show here, that ‘the power to punish is revealed in all its tragic ambiguity’, since it may be necessary, in order to protect citizens from violations that threaten them, to violate the liberty of others and to threaten their dignity and their physical integrity. How to protect ourselves against the excesses and extremes of the laws that protect us? This book demonstrates, if it were necessary, that the ‘Beccaria moment’ remains relevant, and it reminds us of the need today to rethink the principles of the Milanese writer so as to better understand in particular the modern tension between the principles of security and liberal values. It invites us to think about the problems raised by the widespread preventive surveillance of individuals in the name of the ‘security of the state’ at a time when new radical forms of criminality are emerging. Title page of the original edition of the Napoleonic code of 1810. Public domain. As an Enlightened Utopian, Beccaria dreamed of a just city, regulated by constrained force, since excessive punishments encourage brutality in social behaviour […]. Speaking in the language and culture of his times, Beccaria paves the way for the eventual abolition of capital punishment. Today this humane project is enshrined in European democracies. So at a time when certain European gaols resemble more and more the prison hell deplored by John Howard at the end of the eighteenth century, and when populism sees an ethnic element in criminality, fosters social vindictiveness, and in general questions the Enlightenment legal heritage, condemning the State’s role to heal and urging punitive excess in response to problems of security, the generous words of the Italian thinker remain immensely relevant. As if we were still living in the Beccaria moment inaugurated in 1764. On Friday 12 October 2018, I am pleased to be organising at the École normale supérieure in Paris a round table debate devoted to the book edited by Philippe Audegean and Luigi Delia, in the presence of the authors/editors. Also participating in the discussion are Italo Birocchi (professor of the history of medieval and modern law at the University of Rome La Sapienza), Manuela Albertone (professor of modern history at the University of Turin), and Denis Baranger (professor of public law at the University of Paris II Panthéon-Assas and deputy director of the Institut Michel Villey). Michel Porret, Beccaria: le droit de punir, Paris, Michalon, 2003, p. 116; and Michel Porret and Élisabeth Salvi (eds. ), Cesare Beccaria. La controverse pénale, XVIIIe-XXIe siècle, Presses universitaires de Rennes, 2015, ‘Introduction. Le moment Beccaria’, p.15-38. C. Beccaria, Des délits et des peines, translation by Philippe Audegean, Lyon, ENS Éditions, 2009, p.398. 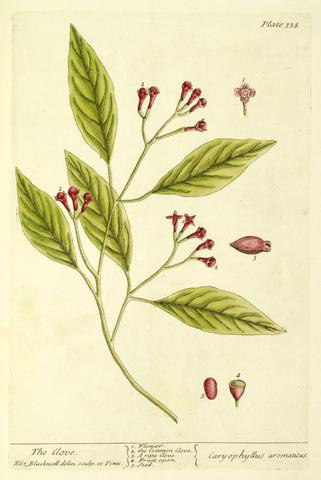 [C. Beccaria], Traité des délits et des peines, traduit de l’italien , ‘Préface du traducteur’, p.VIII. Il Caffè, t.I, foglio V, Torino, Bollati Boringhieri, 1998, p.56. Philippe Audegean and Luigi Delia (eds. ), Le moment Beccaria. Naissance du droit pénal moderne (1764-1810), Oxford University Studies in the Enlightenment, 2018, introduction, p.4. Cesare Beccaria. 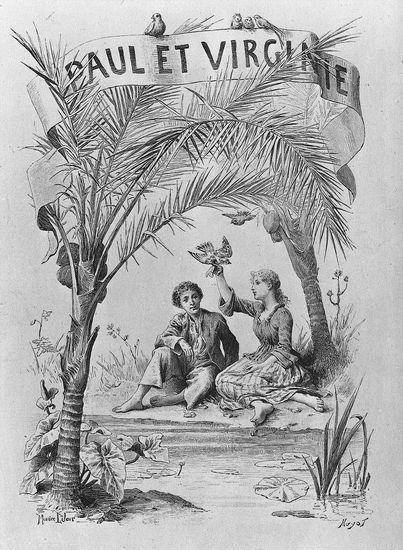 La controverse pénale, p.37-38. The above post is reblogged from Liverpool University Press. Without a doubt, the Restoration era always exceeds students’ expectations. Students arrive with images in their heads of powdered wigs and royal ceremonies; they leave savoring the frankness, liveliness, and relevance of playwrights Aphra Behn, Susan Centlivre, George Farquhar, and John Dryden (All of Love and Amphitryon especially). Generic expectations circumscribe and limit. But as Dryden describes, poets capture an idea or image in language and activate the senses their readers, creating a pulsating conduit between them and the objects represented. Dryden insists that his aesthetic forms, in his case heroic drama, initially obtrusive, merge with what he depicts. In the period after the Restoration of Charles II to the English throne, the ‘care and labour of Rhyme is carry’d from us, or at least drown’d in its own sweetness, as Bees are sometimes bury’d in their Honey.’ Literary forms serve as porous borders that foster interaction and vibrancy, melting into the things they represent once this exchange has been activated. How did literature overcome what had become stale Renaissance constructs and respond to contact and exchange across the Americas, Africa, and Asia? The premise of Nature and the New Science is that natural systems shape poetry, philosophy, geography, and politics. After the era I define, writers increasingly fix nature as something to be sought rather than always and everywhere an ambient condition of human life. But from 1665-1726, nature operated as the medium through which the British sought the unknown, interpreted contact with others abroad, and allowed them to explore the self and adapt to new political and economic realities. Because so many aspects that define our contemporary world took root in the period, the study of the long eighteenth century remains paramount to understanding seemingly intractable problems as well as institutions we’ve grown to cherish. A few examples include: Western conceptions of the East, global interdependencies, the lives of servants and women, treatment of indigenous people, and the (still) undervalued contributions of women writers. We often characterize the era as charting the ‘rise’ of large-scale processes – the rise of the nation-state; the rise of the novel; the rise of the modern subject; the rise of democratic republicanism, the rise of capitalist economies – obscuring the originary conditions of these movements. In this book I am concerned with the literature that remains in dialogue with various processes, phenomena, places, and beings. Various initiatives encourage cross-fertilization across academia, governmental organizations, and industry. My own university is in the process of uniting its Colleges of Arts and Sciences into one unit, giving me the opportunity to create interdisciplinary classes like ‘The Literature, History, and Science of Spaceflight’. The period under discussion can serve as the lingua franca, enabling increased dialogue among academic units. It is a commonplace to point out that in the late seventeenth and early eighteenth century disciplinary silos were nonexistent, but what remains understudied is how different areas of study remain tethered, how they need one another to define themselves. I should know. Earning degrees in both Aerospace Engineering and English and working at the Laboratory for Atmospheric and Space Physics at CU-Boulder and, later, at Stanford University on satellites called QuickSCAT and Gravity Probe B, I viewed engineering and English as complementary disciplines. Likewise, the ‘New Science’, which emerged in the seventeenth century, promised to illuminate natural phenomena through the use of reason and special instruments, encouraging detailed inquiries into physical systems. The methodology resembles the practice of close reading a literary text: life appears when one appreciates the minutia. At the same time, the practitioners of the New Science recognized the object of study was inseparable from the device through which one grasped it, as did those who sought innovation in poetic form. While receptivity to their surroundings unites the authors studied here from Margaret Cavendish and Milton to Lady Mary Wortley Montagu and Daniel Defoe, the book observes a gradual diminishment in the writers’ attunement to natural processes as a means to discernment. They succumb instead to constructs of national identities characterized by borders and attendant socio-economic systems. Behn, for instance, ties technology to its capacity to intertwine people and sites rather than displace them, and for Dryden, the kinship between the English and nature enabled circum-oceanic travel. But by the end of the period I trace, only auditory sensations (the haunting cries of animals) remind Robinson Crusoe of vestigial affiliations among all beings. In the Anthropocene, we struggle with the effects of how human activity changed the climate and environment. Conceptualizing the world through natural systems will not directly reverse rising oceans and carbon dioxide levels. The literature from the period, however, remains vital in that it reminds us that we cannot compartmentalize environmental degradation. It links human and natural systems, helping to perceive this crisis and to reconcile the separation between the two that led to it. The above post is reblogged from Liverpool University Press. The author, Denys Van Renen, is Associate Professor of English at the University of Nebraska at Kearney. He is the author of ‘The Other Exchange: Women, Servants, and the Urban Underclass in Early Modern England’ and co-editor of ‘Beyond 1776’. He has a critical edition of Dorothy Wordsworth’s journals forthcoming. 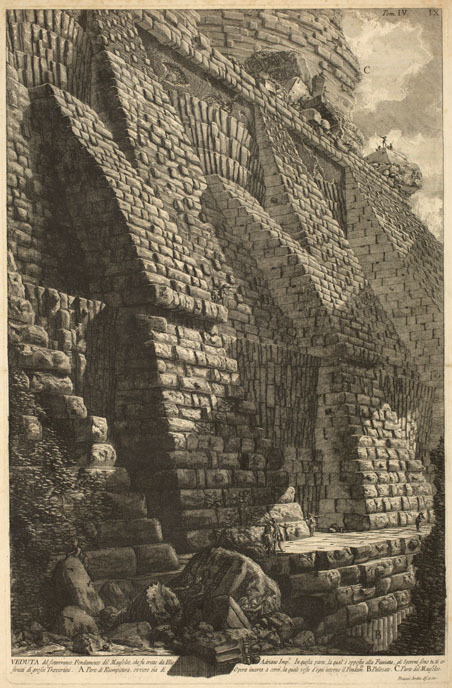 At the beginning of his 1791 Les Ruines, Constantin-François de Volney describes himself sitting amidst the ruins of Palmyra, on the edge of the Syrian desert. As his gaze shifts back and forth between the ancient monuments and the open horizon, he sinks into a profound reverie. It is the beginning of a long meditation on the principles that govern the rise and fall of civilizations. A thriving cosmopolitan city in which the Persian and Greco-Roman worlds merged in complex ways, Palmyra was at its height between the first and second centuries AD. Its ruins, a destination for countless European travellers from the seventeenth century onward, bore witness to its greatness. Volney, like many others before him, was fascinated and at the same time dismayed by the sight. For him the ruins of Palmyra evoked not only the glorious past of an ancient Empire, but also a possible future for the great Western civilizations. They echoed the fragility itself of human society, and their shattered architecture was the material embodiment of the incessant cycles of history. By observing the rubble of the past, visitors were also stimulated to reflect on the causes that led a people to ruination. The knowledge of ruins past – for Volney – could help nations avert the eventual collapse of civilization. 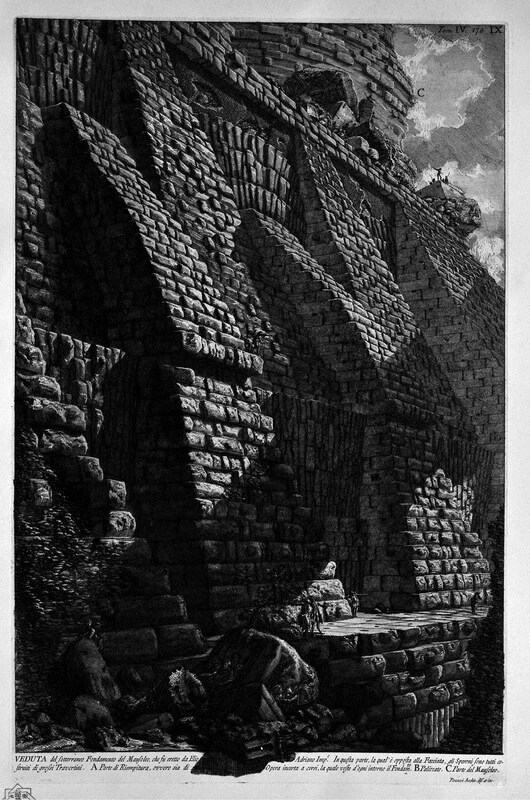 Figure 5: Giovanni Battista Piranesi, View of the subterranean foundations of the Mausoleum built by the Emperor Hadrian, Le Antichità romane (1756), vol.4, pl.9. High Def image also available to view on line. The ruins of Palmyra are today under attack. As the ancient city has become a battlefield in the war between the Syrian regime and ISIS, we have seen its architectural heritage disappear – razed to the ground with explosives. The latest to fall, after the temples of Baalshamin and of Bel, was the 2000-year-old Arch of Triumph. 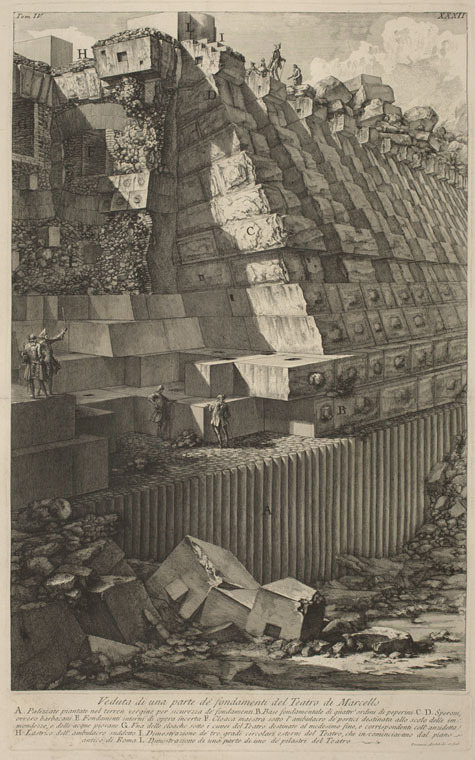 The eighteenth-century etcher Giovanni Battista Piranesi, whose depictions of ruined landscapes are still so eloquent, was convinced that ruins had a voice and that they would continue to speak to our imaginations over the centuries. The ruins of Palmyra are powerful, stirring symbols and the fighters of ISIS must fear their collective voice if they are now trying to silence it once and for all. There is a sense of both disbelief and horror that seizes us at the thought of a piece of our collective history being ruthlessly destroyed. In my book Ruins past: modernity in Italy, 1744-1836 I discuss the layered symbolism of ruins in Italy during its transition to modernity between the eighteenth and nineteenth centuries. I explore how the multiple meanings assumed by ruins are inextricable from the way we think about history, the relationship between past, present, and future, and categories such as progress and change. Ruins are never neutral symbols. If their destruction is an act of war, it is one aimed at rewriting history. 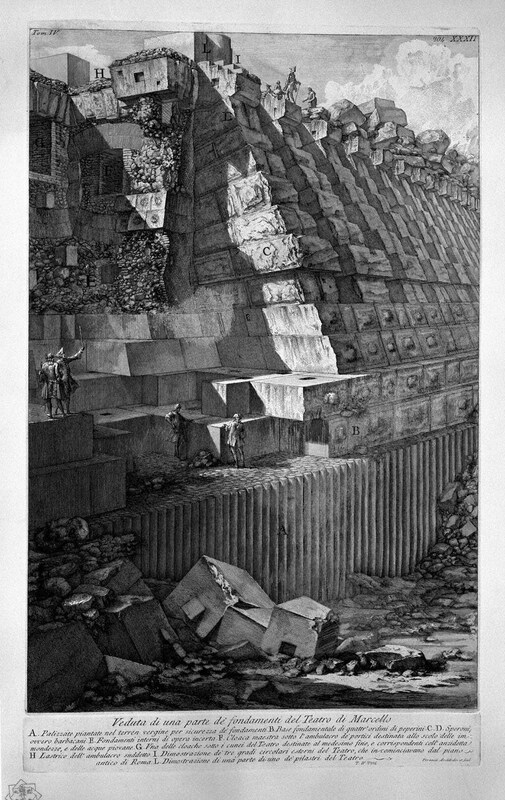 Figure 6: Giovanni Battista Piranesi, View showing a part of the foundations of the Theater of Marcellus, Le Antichità romane (1756), vol.4, pl.32. HD image. As George Orwell suggested, far more terrible than the power that desires to control the future is one that attempts to dominate the past as well . By erasing ruins, historical memory is destroyed. There is no more effective way of delegitimizing the present in order to lay the ground for a new regime and its new historical narrative. While the preservation (and reinvention) of its ancient ruins was both a poetic and a political act in Italy during the eighteenth and nineteenth centuries, in Syria today it is an imperative of salvation. There is some hope on the horizon. In October 2015, a group of activists started #NEWPALMYRA, an online archive of 3-D models that reproduce Palmyra’s monuments with the aim of “rebuilding” the city. 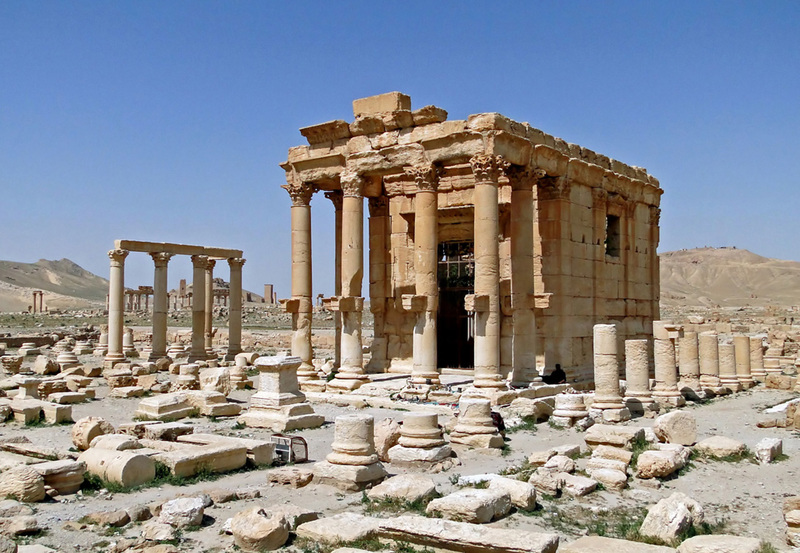 The Oxford Institute of Digital Archaeology has also launched the Million Image Database project, whose goal is to construct a 3-D photographic record of objects from endangered sites across the Middle East and North Africa, including Palmyra. To save the ruins of the past is an act of resistance crucial to saving the future. 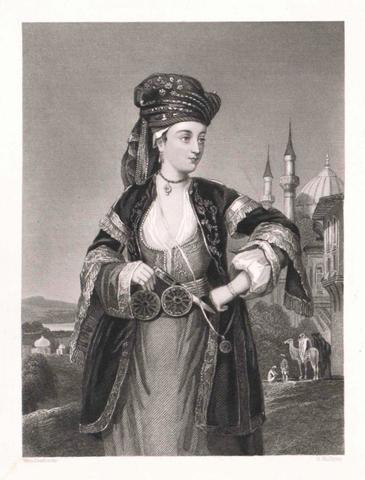 Sabrina Ferri, Ruins past: modernity in Italy, 1744-1836. Oxford University Studies in the Enlightenment, December 2015. ISBN 978-0-7294-1171-4. See George Orwell, ‘Looking Back on the Spanish War’ (1943), in Facing Unpleasant Facts: Narrative Essays. See also Orwell, 1984 (1949). Lucretia and Tarquin, by Simon Vouet. 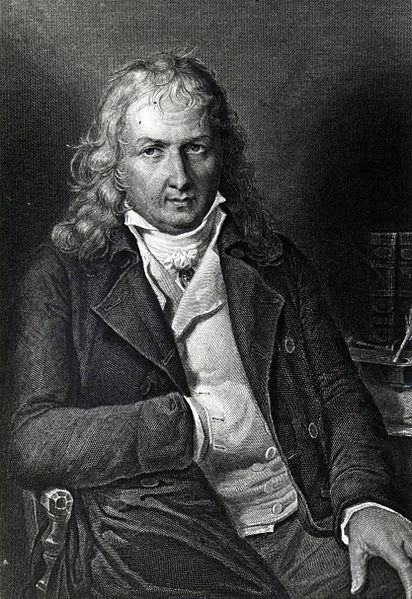 Schopenhauer unkindly wrote that the only merit of Leibniz’s Théodicée was that it gave rise to ‘the immortal Candide’. The Théodicée does seem at least to have given rise to the subtitle of Candide, albeit indirectly. In 1737, a review of a new edition of Leibniz’s book in the Jesuit Mémoires de Trévoux dubbed its central doctrine ‘l’optimisme’, thus apparently coining the term. Although it could easily have been elsewhere that Voltaire first came across Leibniz’s idea that this is the best of all possible words, and picked up the smattering of Leibnizian terminology that is found in Candide, we know that he dipped into the Théodicée at the very least, since an edition of the work exists to this day in his personal library, and contains several paper markers in both volumes. So he may well have noticed a key passage in its final pages about a man opting for a quiet life and cultivating his jardin. This striking parallel with the end of Candide seems to have been overlooked. The climax of Leibniz’s Théodicée is a fable that Borges would have enjoyed, and probably did. Pallas Athena appears in a dream to Theodorus, the high priest of Jupiter, and shows him a palace with an infinite number of halls, each of which represents a possible way for things to be, but only one of which shows things as they actually are. The structure is a pyramid with an infinitely large base, and the single hall at its apex is the actual – and best possible – world. 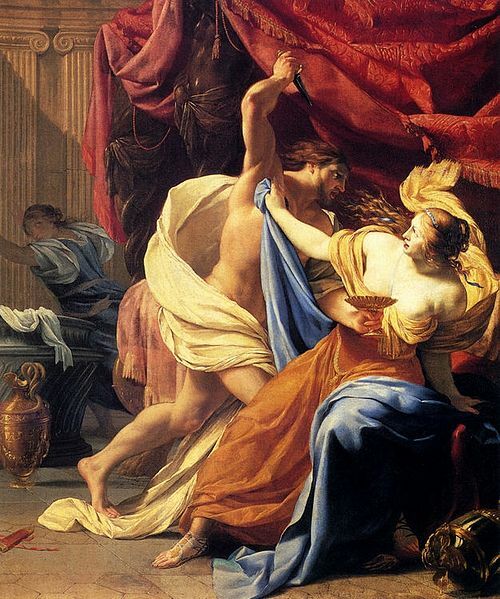 In that world, Sextus Tarquinius rapes Lucretia, which, as Pallas Athena puts it, “serves for great things”: it leads to the overthrow of the Roman monarchy and the founding of the Roman Republic. She also shows Theodorus one of the many other halls in which Sextus does not go to Rome and commit his crime. Such a world, we and Theodorus are supposed to agree, is not as good as the actual one, because in it the Roman Republic does not come to be. And what exactly does Sextus do instead in the possible but non-actual world which Pallas Athena shows to Theodorus? In other words, Sextus ends up as Candide would have liked to and Voltaire at Ferney more or less did. If Voltaire knew this passage – though there are surely possible worlds in which he skipped it and others in which he forgot it – we should perhaps see a wink at Leibniz in Candide’s much-discussed closing words. Die Welt als Wille und Vorstellung, ch.46. Corpus des notes marginales, vol.5, p.298-99. Today marks 200 years since the death of Bernardin de Saint-Pierre (1737-1814). Best known for his novel Paul et Virginie, he was also the author of a voluminous correspondence: nearly 2800 letters to and from the author survive detailing the author’s travels to Eastern Europe and Mauritius, and providing insights into the cultural and social life of Paris at the turn of the eighteenth century. The Bernardin de Saint-Pierre Project, the first critical edition of his correspondence, generously funded by the AHRC, the British Academy and the MHRA, is now nearing completion. The Voltaire Foundation has been publishing the letters in batches via Electronic Enlightenment since 2008. The publication in electronic format allows us to update letters as more information becomes available, and also to add new letters as they come to light. Whilst the correspondence project is almost complete, the first complete critical edition of the author is under way under the general editorship of Jean-Michel Racault. This will replace the early nineteenth-century editions of Aimé-Martin which sometimes contain unreliable texts and lack scholarly annotation. A special Bernardin de Saint-Pierre issue of Nottingham French Studies will appear in 2015. Anybody taking the ferry from Britain to Le Havre (Bernardin’s birthplace), may wish to see the exhibition on Bernardin: ‘Paul et Virginie, un exotisme enchanteur’, until 16 May 2014. A website hosted by the University of Exeter contains all the manuscripts of the author that are held in the Bibliothèque Armand Salacrou, Le Havre. There are over 10,000 manuscript pages, available to all without password. Oxford University Studies in the Enlightenment – what’s in a name? Jean-François de Troy, ‘Reading from Molière’, c.1728, Collection Marchioness of Cholmondeley . As it enters its sixtieth year, and approaches its 550th volume, SVEC is changing its name; from 2014 the series will be known as Oxford University Studies in the Enlightenment. A change of name, yes, but not a change of direction. 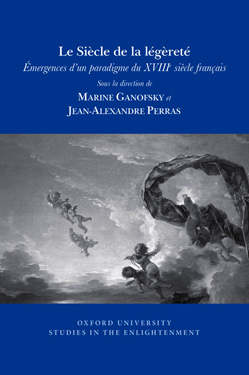 Over the last few years, the series has published leading research relating not only to France, but also to the UK, Germany and Spain, Russia and Greece, Africa and America; and it has encouraged work across a broad range of disciplines – economics and science, political and cultural history, music and the visual arts, literature and publishing -, as well as promoting new areas of research such as environmental studies. This editorial policy is quite consistent with the eighteenth century itself, which was constantly crossing boundaries of language, of nation and of discipline. Distinctions we might wish to make between, for instance, exception and rule, reason and emotion, functional and ornamental, laughter and tears, are all questioned in this period. The Enlightenment is not about a single discipline, methodology, geographical terrain, intellectual position, or even about a defined period; it is an extensive process of exploration, exchange, and transgression. The title Oxford University Studies in the Enlightenment reflects those editorial principles and that intellectual practice. The fact that the series is published by the Voltaire Foundation, a department of the University of Oxford and birthplace of the Electronic Enlightenment project, could not be more apt. Voltaire was one of the most interdisciplinary and international of writers, who thought beyond intellectual, cultural or even chronological boundaries. It is in this spirit that the first book of the newly renamed series, India and Europe in the global eighteenth century, looks afresh at the relations between Europe and India using both eastern and western sources to explore the emergence of a new political and commercial order. From their home in Oxford University, Studies in the Enlightenment are well and truly global. Welcome to the Voltaire Foundation’s blog. We are a world leader for eighteenth-century scholarship and a research department at the University of Oxford. We publish the definitive edition of the Complete Works of Voltaire (Œuvres complètes de Voltaire), as well as Oxford University Studies in the Enlightenment (previously SVEC), the foremost series devoted to Enlightenment studies, and the correspondences of several key French thinkers. Bienvenue sur le blog de la Voltaire Foundation. La Voltaire Foundation est un centre de recherche de l'université d'Oxford et joue un rôle primordial dans notre connaissance du dix-huitième siècle, publiant l’édition de référence des Œuvres complètes de Voltaire, les correspondances de plusieurs grands penseurs français, ainsi que la prestigieuse collection des Oxford University Studies in the Enlightenment (anciennement SVEC) consacrée aux études sur le siècle des Lumières. La France est une nation légère – ce lieu commun antique est abondamment repris tout au long du XVIIIe siècle, témoignant de profonds bouleversements axiologiques, scientifiques et éthiques, dont ce volume collectif cherche à mesurer l’importance et les enjeux, en racontant l’histoire d’un autre siècle des Lumières: celle d’un siècle de la Légèreté.